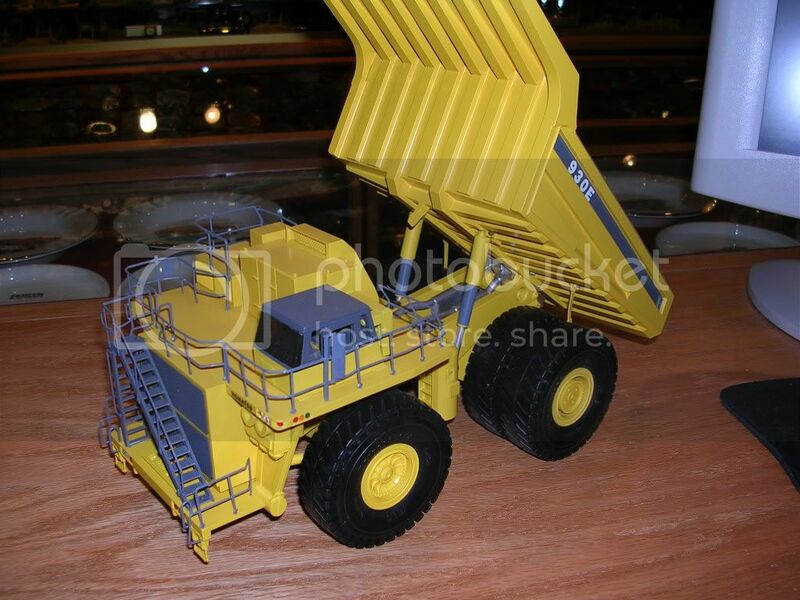 Here are several photos of the Komatsu 960E Dump Truck samples. A flyer from Uncle lists the yellow version at $259.99 and the white at $269.00 There is a special listed as well for additional savings. You will need to do the homework on that. 240 of the White one will be made. ALSO, the sample of the white one has black railings, steps, and cab. The production will have Blue railings, steps and cab. Great pictures Steve, thanks for sharing! I really like the look of that white one, I had planned on getting one in yellow but I think that the white will offset the cat yellow and look great alongside the 797F. By the way, nice watermarking, obviously on the piece of interest so it can't be cropped out but done without ruining the entire image. It's about time the mass produced a big Haul-pak truck. Could be an easy 930E conversion. We all know the Komatsu will be here first. Looks awesome, tfs Steve! Nice haul truck!! 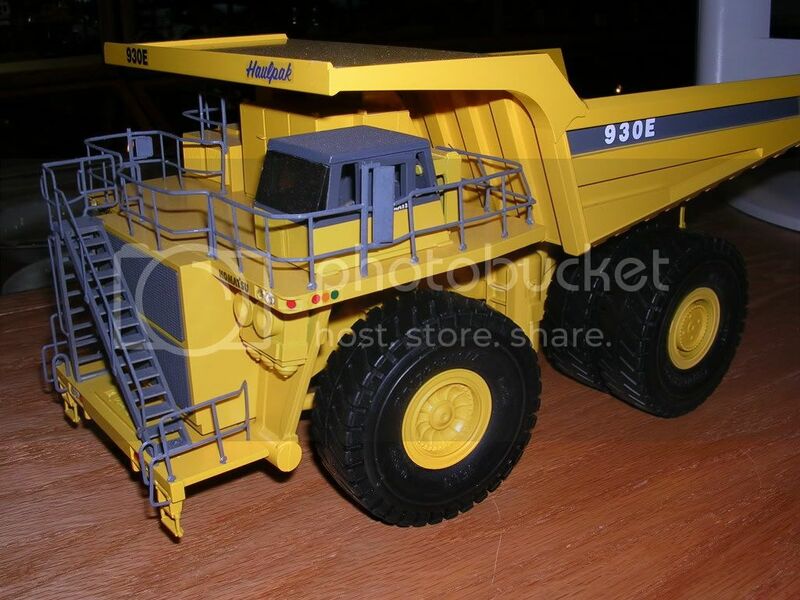 Was there ever a model of the 830E made in 1:50? I believe OHS released a small number each of different variants of the 830/830E. I really wanted to get at least one of them when they were available. Yes OHS did it....... but where is OHS now??? When will be the 960E Available?? 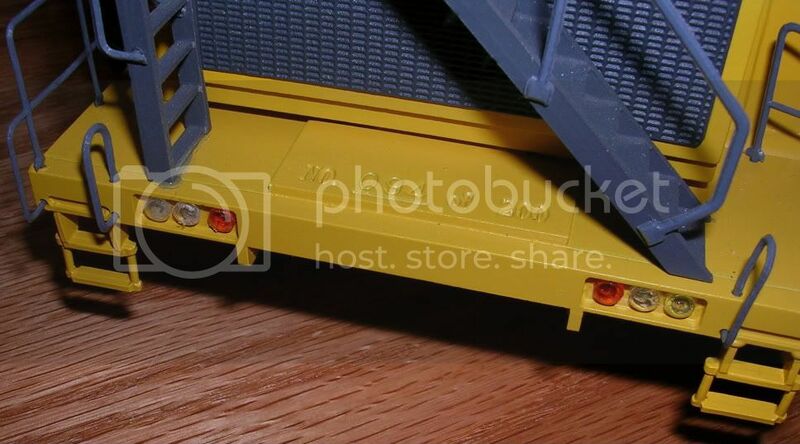 OHS indeed made 2 different versions of the 830E one with stairs along side the grill and one with stair and railing that angle up the front grill like the Norscot 793.I will have at least 4 of each color of the 960E when released and the 797's as well and will have one in white,working on a white OHS 830E right now. Another nice load for Mammoet to haul around and move! And if its typical First Gear, it will have an excellent level of detail, be reasonably priced and be next to impossible to take apart! Would love to take it out for a spin though! The First Gear 960E looks great. OHS made a dozen or so verisons of the 830E. I have 9 different ones. Here's some pics of my 930E. This model was produced in a very limited number, 200. And was presented to companies that purchased the 930E trucks. Joe I think that that is another of the ones shown just above.....the very limited number, special 'hand-builts', by a guy who's name escapes me. RMS had some knowledge on this guy though...I think. The guy behind these 930s and his wife has attended a few of the Toy-Trucker shows here in the midwest over the past couple of years and they had one of these left in their inventory that they were trying to sell at the show each year. It is an impressive model, and I think the maker had something to do with making tires and wheels for Tonka toys or something like that. The Haulpak 930E was produced by Precise Work Incorporated. Although the original plan was to produce 200 pieces; in fact, only 150 units were actually assembled. I only learned about this at the TT&C show this year from one of the co-owners of Precise Work (no longer in business). 'Certainly one of the "prized" pieces in my collection! I was not aware there was co-owners of Precise Work Incoporated, I was under the impression that Dave Sharpe was the sole proprietor. As far as total number made, my example is 152 of 200. I purchased mine at least three (3) years ago at the Toy Trucker & Contractor show in Indianapolis, IN.